Are you looking for ice riddles and answers? 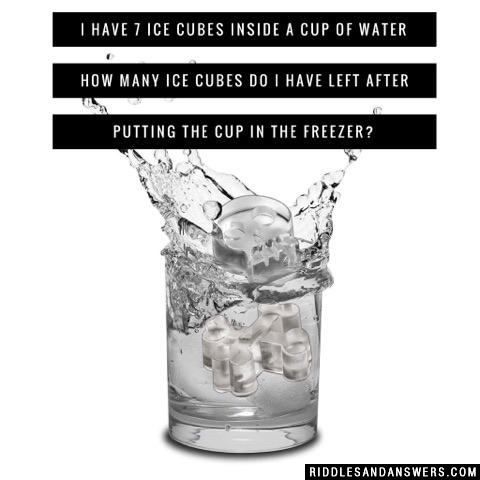 Here we have compiled an awesome collection of ice riddles from all around the internet. These riddles are great as clues for treasure hunts and scavenger hunts! They are also great for teachers teaching their students about science and the four states of matter. What better way than to incorporate a little fun challenge into your science lesson than with ice riddles? No matter what the use, we have the perfect ice riddles for everyone! Bright like diamonds, hard like rock, I'm crushed or cubed or solid block. Did you guess ice? Of course you did! 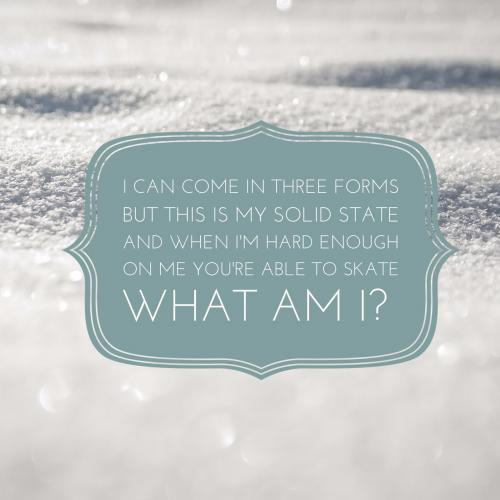 Check out our ice riddles below and use our 30 second timer for a little added fun! 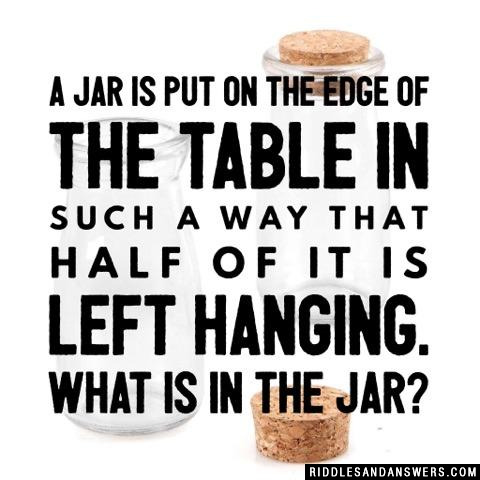 A jar is put on the edge of the table in such a way that half of it is left hanging. What is in the jar? I have 7 ice cubes inside a cup of water how many ice cubes do I have left after putting the cup in the freezer? Julie is going on an extended trip for three weeks. She lives in a remote area where there are frequent electrical power outages which can last up to three or four days. Julie has quite a bit of food in her freezer which would go bad if it thawed and then re-froze. She does have digital clock and a VCR which would flash 12:00 if the power went out. Unfortunately the clock and VCR flash even if the power only goes out for a few seconds. What can Julie do so that when she returns home she will be able to determine whether the power was out long enough to thaw her food? Asking a neighbor whether the power was out, isn't a reliable option because the nearest house is half a mile away, and one house may have power, while another house may have no power. She won't be able to have a neighbor check on her house every day, and has no one to house sit. There was an ice cube sitting in the freezer. Somebody who knew the ice cube was there went to get the ice cube in the freezer, but it was gone. Why was the ice cube gone? The freezer was off and the ice cube melted. What do you get from sitting on the ice too long? My job often leaves me frozen, I am a man that all should know, but I do not do business in times of sleet or ice or snow. But I have a cold and icy treat you definitely know. I travel much on business, but no reindeer haul me around, I do all my traveling firmly on the ground. I'm the son of water but when I return to water. I die. Who am I? Can you come up with a cool, funny or clever Ice Riddles of your own? Post it below (without the answer) to see if you can stump our users.